A Wrexham company has been thanked for its fantastic year of fundraising for Nightingale House Hospice. Specialist electrical equipment and component distributor Cable Services Limited based on Rhosddu Industrial Estate had previously donated £21,762 as the result of a busy year of fundraising in 2017. They have followed this up with a further donation of £10,832 in January 2019 from their efforts over the last 12 months. 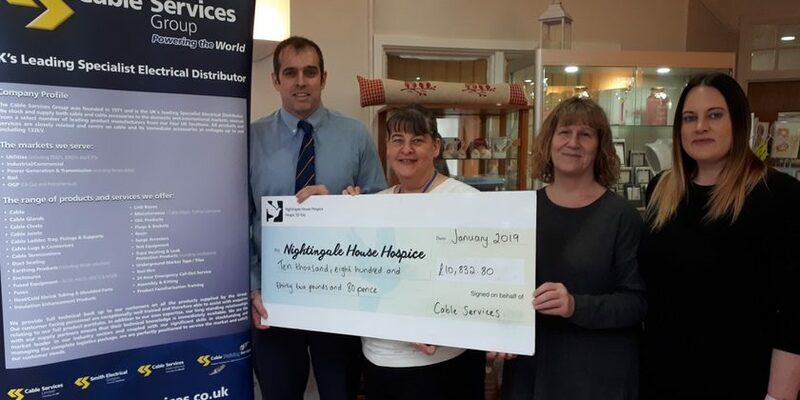 Huw Evans, Marketing Manager at Cable Services said: “We are thrilled to support Nightingale House Hospice and the work they do within our local community. 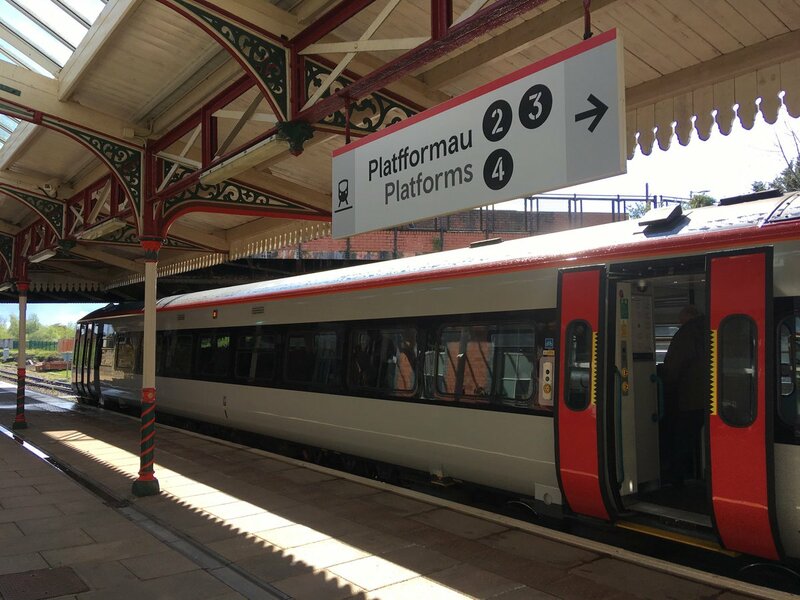 “Many of our employees are local to Wrexham, and have had some connection with the hospice over the last few years. “Throughout 2018, we have been raising funds for the hospice, whether it be individuals running the London Marathon, doing the Bangor on Dee Colour Run, or any other activity such as raffles and a Christmas Jumper day. Hospice Corporate Partnerships Manager Debbie Barton said: “These are both huge contributions for us, making a real difference. We truly appreciate all that Cable Services have been doing for us and their invaluable contribution to raising funds for the Hospice. “They have been amazing in their efforts during the last 12 months and we are so grateful to them for choosing to support us. Companies wanting to discuss any kind of fundraising / volunteering opportunities should contact Debbie Barton on 01978 314292. Read 1,158,233 times in last 30 days. Read 1,158,233 times in last 30 days, and 74,065,142 times since we started in 2011.